Traditionally used in Southeast Asia, bamboo tableware is light and strong like plastic, but much more elegant and environment friendly. 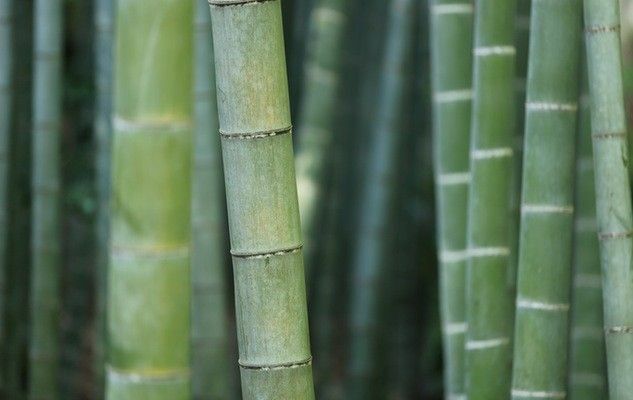 In fact, bamboo grows very fast with very little water and no fertilizers or pesticides. Once cut, it regenerates easily from its rhizomes. Moreover, bamboo is 100% recyclable, so no pollution. Another advantage is that bamboo is not porous, so it retains neither taste nor smell and can be cleaned very easily by hand with warm water, using a bit of dishwashing liquid (avoid microwaves and dishwashers!). Excellent insulator, bamboo further preserves the heat and freshness of dishes. So far, I have given you “technical” reasons to adopt this kind of tableware, but in truth I myself become a “fan” when a friend introduced me to the products of the company EKOBO. I was immediately won over by their range of bowls, salad bowls, boxes etc. that are often combined with other materials as environmentally friendly and pleasant to touch, such as cork or wood. The designs, always clean and contemporary, are made in France, while manufacturing, based on traditional know-how, takes place in Vietnam. If traditional manufacturing intrigues you, go onto the EKOBO website where you’ll find a detailed photo report on the work of the craftsmen. You can buy these products directly on their website or in several stores in Canada and around the world. You can find the list of stores here.